Ø Make sure your home is well insulated. 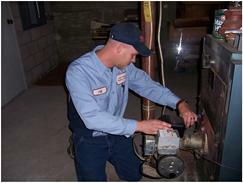 Ø If you have a hot air furnace, change your air filters every 3 months. These filters are very inexpensive and can be found at your local hardware store.